Integrating whiteboard animations into your content marketing strategy will increase sales by engaging your audience. Whiteboard animation videos allow you to tell a story in a seamless manner that isn’t bombarded with distracting graphics and text. Whiteboard animations are twice as likely to result in a sale and three times as likely to be shared on social media than other content forms. When compared to a traditional corporate talking head video, whiteboard animations garner a 15% better retention rate. A whiteboard animation’s sole purpose is to tell a story by recording a drawing hand as it draws on a whiteboard. As the artist draws, the story unfolds and captures the audience’s attention. 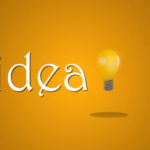 Whiteboard animations allow you to be as creative as you want and tell any story you want. Because of its simplicity, a whiteboard animation allows you to explain a complex idea or concept in a very easy-to-understand manner. Do you know how to create a whiteboard animation? If so, we’d love for you to share how you put your audience in awe. If you don’t know how, then keep reading to learn 11 tips for creating effective whiteboard animation videos that increases conversions and leads to sales. The first element you need to know about when creating powerful whiteboard animation videos is the drawing hand. Even though an animated whiteboard video may not include an actual human hand, it’s still going to show an animated one. The presence of a drawing hand is what makes a whiteboard animation so unique from other content forms. The audience gets to watch a hand bring life to the drawings. Many times, the hand itself becomes its own character. Another pertinent element is the white background (thus being the reason the videos are called whiteboard videos). While you may be tempted to change the color of the background, you must remember it’s not really a whiteboard animation without the white background. If you change it to a blue background, you may as well call it a blueboard animation. 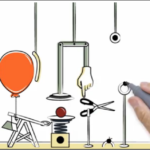 Interconnected drawing is a vital element when creating whiteboard animation videos. As the artist continues to draw, this provided continuity to the story. The audience is intrigued by the drawing aspect and will want to keep watching to see what the artist is going to draw next. The story unfolding before them is literally being created right before them as well. Before you start thinking about the drawing hand, the whiteboard background, and the interconnected drawing, you first need to create a great script. What story is it that you’re wanting to tell? Does this story relate to one of your audience’s pain points? How is the story going to reveal that your brand provides a solution to that pain point? How is that solution going to make the lives of your audience better? Just because you have a great solution to a difficult problem doesn’t mean viewers are going to contact you immediately. They must be shown how that solution is going to simplify their lives. Creating a great script requires creating characters and a call to action. More so, it requires giving personalities to these characters and aligning the script so that their personalities shine throughout the drawings being created by the artist. You want your audience to relate to the characters. Even if one of the characters is a monster, the audience still needs to relate in some way. The script should also evoke emotion from the audience. Effective whiteboard animation videos build trust with the audience by appealing to their emotions. The script must follow a believable storyline. It should have a clear beginning, middle, and end. Somewhere throughout those three segments, you need to strike an emotional chord with the audience, preferably during the beginning to ensure they keep watching. If you read the script out loud and it doesn’t make sense to you, you need to create a new one. If it doesn’t make sense to you, it’s definitely not going to make sense to your audience who has far less context of the video than you do. The goal is to make sure the script sounds natural. If it sounds too formal, go back and make a few tweaks and make it a bit more personable. Everything from the voice inflections and the words you put emphasis on need to be considered. As mentioned before, whiteboard animation videos allow you to be as creative as you want. But remember, audiences have a certain expectation when they’re watching a whiteboard animation. If you stray too far from their expectations, there’s a good chance they will click out of the video and click on one of your competitors. If you want to add a bit of color to the video, that’s perfectly fine. The key here is balance. Don’t start using so many colors that it becomes a full-color video. If your story requires a heavy use of colors, you may want to opt for a cartoon animation. Any time you incorporate colors, make sure they are consistent with your brand’s colors, like the ones used in your logo and other marketing materials. This is an excellent way to boost brand recall. Creating buyer personas is probably the most important element for any marketing strategy. Without these personas, you can’t customize your marketing efforts to reach your intended audience. Buyer personas are fictional representations of your most ideal customer. Since no two customers are exactly the same, it’s a good idea to create at least three personas. You may even find you need to create three versions of your whiteboard animation videos to ensure it appeals to each persona. Making small tweaks in the drawings, animations, and the script can go a long way in making your audience feel empathy and leading them to follow your CTA. Once you have your buyer personas created, it then becomes time to create characters that align with those personas. You can even create a single whiteboard animation that includes three characters, each of which appeals to a certain persona. As the characters come to life in the video, the audience will pick out one they relate the most with. This character-relation aspect adds a personal touch and keeps the audience interested. You can reference your script to determine what actions your characters are going to take and whether or not they are going to say anything. This will help you determine what the artist is going to draw during the whiteboard animation video. In addition to creating buyer personas, a script, characters (yes, there’s a lot of creation that goes into whiteboard animations), you need to develop a storyboard, too. Think of the storyboard as a comic strip that outlines all actions, movements, and visual aspects of the video. Unlike other forms of video creation, though, whiteboard animation videos require a seamless effect to be maintained as you move from frame to frame. If you can’t maintain continuity, then you need to recreate the storyboard altogether. With this mind, make sure the script doesn’t require any major transitions from one scene to the next. Also, since the drawing hand is probably the most notable characteristic of whiteboard animation videos, make sure it’s included in all frames. In the very least, even if they don’t feel compelled to follow your CTA or contact your brand, they should finish watching the video knowing they have learned something of value. This applies to all forms of marketing, including blog posts, product descriptions, etc. We’ve used the term animation and animated several times throughout this blog post. The truth is, though, you can create a whiteboard video with very little animation. This, hopefully, isn’t the route you want to take. The more animation, the better. Animation brings life to the whiteboard video, but make sure not to overdo it. After the drawing hand is finished drawing a character, you can animate the character so that it’s moving around while the artist continues to draw. Adding animation shows the audience that you have put a lot of time and effort into creating the whiteboard video, which signals that you are truly concerned and serious about acquiring customers. When viewers know you want them as a customer, or even need them as a customer, it makes them feel appreciated and valued. A valued customer is always a happy customer. In an attempt to save both time and energy, a lot of whiteboard animation video creators will use 2D animation video scripts and try to turn them into whiteboard videos. While you may think it’s saving time, it’s really not. You’re actually just wasting your time. A whiteboard video is unique in that it’s unlike any other form of animated content. Ask any professional and experienced whiteboard video creator about whiteboard character creation and they will quickly tell you its much different than creating characters for a 2D animation video. This means the script itself must be engaging enough to capture the audience without a sole focus being put on the characters. If you approach creating a whiteboard animation video the same as creating a 2D animated video, you’re going about it all wrong and you’re wasting time, money, and energy. Because of this, it’s best to steer clear of hybrid video syndrome. If you don’t know how to create whiteboard videos yourself, you can always outsource to a professional whiteboard animation company. Next on the list of creating an effective whiteboard animation video is to be careful with the proportions of your illustrations. The characters and all other visual aspects of the video must come together proportionately in order to get your intended message across to the audience. While you may be tempted to make certain characters bigger than others, unless you have a good reason for doing so, it’s typically best to keep them proportionate to the scene being depicted. This proportionality adds depth to the video and makes it seem more real, which is important for stimulating audience engagement. Last on our tip list is the voiceover and sound. You won’t add these elements until the last part of the whiteboard video production process. Still yet, you need to be working on them throughout the entire process to ensure they are good to go once the video is ready for them. As soon as you’re finished creating the script, you can focus on recording the voiceover and sound effects. This allows you to plan for the timing of the animations. No matter the story being told, it’s best to include music and sound effects in the background to achieve a powerful storytelling effect. Notice how we said in the background. These elements shouldn’t be so strong that they are competing with the voiceover. Are you ready to create an effective whiteboard animation video? The number one and most important element to any whiteboard animation video is quality. If you aren’t a professional whiteboard animation creator, you should definitely partner with an agency that is. A professional team of video creators can make it simple for your audience to understand any complex topic, idea, or concept with effective whiteboard animation.